Find out what is important for you to know about current industry topics. 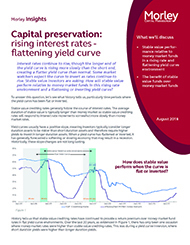 Rates are rising and the yield curve is flattening. 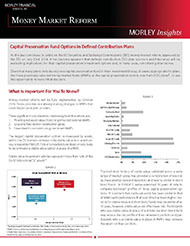 The benefit of stable value funds over money market funds. The Fed has begun to raise rates. 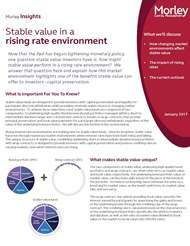 Understand the benefits of stable value in a rising rate environment. 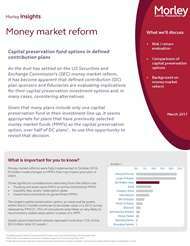 Money market reforms will be fully implemented by October 2016. Discover how we can help you find a solution. 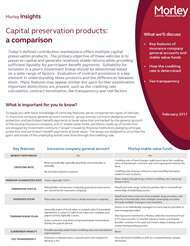 A comparison of key features of stable value funds and insurance company general accounts. Our video offers a short review of stable value.